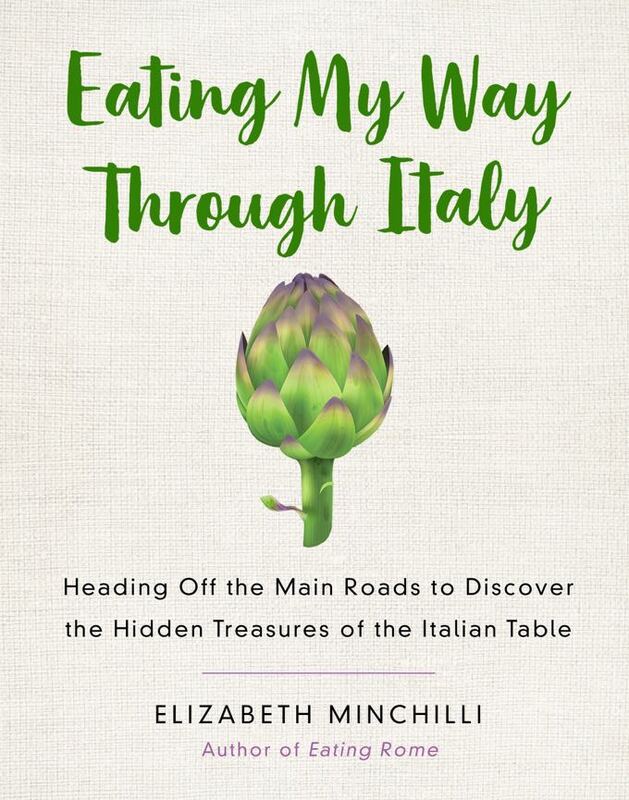 Elizabeth Minchilli is the author of eight books on the joys of Italian life. Her latest book is Eating my way through Italy, of which I was sent an advance copy to review. Minchilli’s passion for Italy led her from her native United States, where she studied architectural history, to Italy in 1987. She writes on architecture, design, food and travel for a variety of publications. This book is way more than a ‘recipe’ book: it is about traveling through Italy through the eye of someone who loves the country and knows it pretty well and has researched some fairly hidden gems and food. It has no set ‘theme’ rather, it goes from region to region, some of the perhaps lesser known ones (yet Pulia is now massively touristy as people have finally discovered how beautiful it is). To a bred and born Italian, there is always the underline feeling that the author is still not 100% ingrained in our culture. To me for example, to glorify the olive oil caddy that is still presented in old fashioned (and usually cheap and cheerful) trattorias across the peninsula is a little unrealistic (besides, it is now unlawful to use it, to avoid counterfeit products). The intro on Napoli is the usual stereotypical version of my beautiful home town of chaos, crime and disorder (before thankfully moving onto how rich the city’s history and heritage are). Regardless, the author has definitely captured some very niche and little known traditions: I love Sardinia and go almost every year but I was not aware of the local ritual of Su Filindeu, and I loved reading about it. She went fishing for anchovies around the Amalfi coast and followed the process of preserving which is truly unique to the area. Minchilli knows some of the very local places in my home town of Napoli (Cafe Mexico for example, not a trendy cafe by any mean). The chapter on Gragnano and its pasta making heritage is fascinating and passionate. The recipes she has in the book and mostly also traditional, authentic and very local and she provides tips on where to source the proper ingredients. 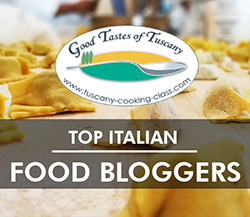 From milanese risotto to umbrian soups, she does cover a lot of mouthwatering and usually easy to make dishes. Overall, I really found this book interesting and written by someone who clearly loves Italy and has delved into our gastronomy and our regional facets with gusto and love. While it is targeted towards the american market (for example the providers of ingredients are USA based) it makes a pleasant read for anyone with an interst in Italy and our way of living as well as our food traditions. I received an advance uncorrected proof for the purpose of this review so I cannot comment on photos (as I have seen them in B/W) and on inconsistencies which I am sure will be gone in the fina printed copy; opinions are my own. I might try to find this book, though I have so many cook/travel books on Italy, that I can’t really justify buying yet another one. 🙂 Is Ferrara one of the places she has visited by any chance? No Ferrara, although she travels through Emilia and covers Parmigiano Reggiano. It’s actually interesting, if a little scattered. Lots of quirky / small things and places.